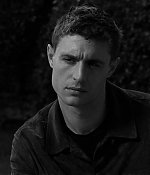 I have added two new production stills of Max from “Bitter Harvest” (previously The Devil’s Harvest) to the gallery! FLAVOURMAG.CO.UK – Spotlight Pictures announced today that it will launch international sales for the highly emotive $21million dollar epic, BITTER HARVEST, at the American Film Market next month. 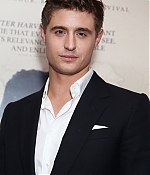 Directed by George Mendeluk (The Kidnapping of the President), the film features an exceptional ensemble cast of established and rising stars including, young British sensation, Max Irons (The Riot Club) Academy Award® Nominee, Terence Stamp (Star Wars: Episode I – The Phantom Menace, Golden Globe® Nominee, Barry Pepper (Maze Runner: The Scorch Trail), Samantha Barks (Les Miserables) and Tamer Hassan (Layer Cake). Edited by Academy Award® Nominee, Stuart Baird (SKYFALL, CASINO ROYALE, DIE HARD 2) with photography by Douglas Milsome (ROBIN HOOD: PRINCE OF THIEVES, THE SHINING), BITTER HARVEST was produced on location in Ukraine and at Pinewood Studios. Set between the two World Wars and based on true historical events, BITTER HARVEST is the first major dramatic film to convey the untold story of the Holodomor, the genocidal famine engineered by Joseph Stalin that killed millions in Ukraine. 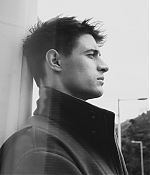 The film follows the journey of Yuri (Max Irons), an artistic soul born into a family of Ukrainian warriors, who struggles to win the approval of his stern grandfather Ivan (Terence Stamp), father Yaroslav (Barry Pepper) and the heart of Natalka (Samantha Barks). Yuri finds his life changed forever with the invasion by the Bolsheviks and the subsequent persecution of his family and fellow countrymen as Stalin’s deliberate regime of terror extends across Eastern Europe. In explaining his involvement, producer Ian Ihnatowycz said, “As the grandson & son of Ukrainians who fled the communists in the 40s, I had long been mystified as to the almost complete lack of awareness in the West about the Holomodor. While the actual number of deaths is undetermined, even the most modest estimate is that over 6 million were deliberately starved to death. These were innocent men, women and children and, in all conscience, I couldn’t let this period of Ukrainian history remain in the shadows”. The film will have its world market premiere during the AFM on Monday, November 9, at the AMC Santa Monica at 3pm. Two movie stills from The Devil’s Harvest have been released! You can check out both in the gallery!